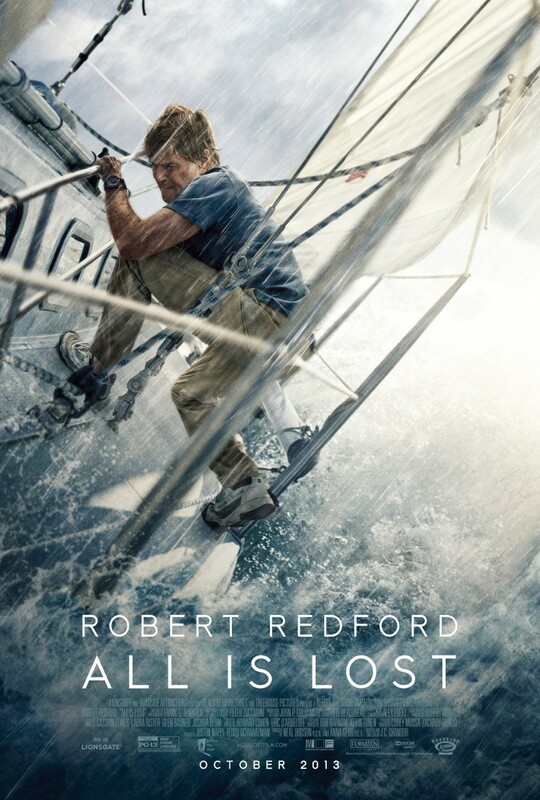 Logline: After a lost shipping container damages his yacht, an elderly, but resourceful sailor finds himself battling the elements and struggling to survive. A disembodied voice speaks in a somber, resigned tone. A red shipping container sits half submerged in a still ocean. Then we are taken back in time, eight days. A salty seadog is awakened from his cabin slumber aboard his elegant 1978 39-foot Cal Yacht by a loud crunch and splintering of wood. Something nasty has just smashed a gaping hole in the side of his sloop, and the water pouring in has ruined both the CB radio and his laptop. Still, Our Man (Robert Redford) is a dab hand with the fiberglass sealant, so after rescuing his vessel from the evil freight clutches of the Chinese “good fortune” and repairing the hole with an impressive display of sea-savvy he is back navigating the steady swell of the ocean, albeit on a temporary lean as he allows the sea-line sealant to set. Ahoy! Tempest on the horizon! From his own script, J. C. Chandor (whose only other feature is the corporate thriller Margin Call) directs with a mighty hand, never once over-stepping into anything other than serving the action as simply and effectively as possible. There’s a rare European grace and lack of pretention that exudes from this tale of one man’s increasingly desperate plight. Robert Redford, aged 77, is amazing. He barely utters a word the entire film. He is also the sole actor. It is without a doubt the best one-man show in quite some time. But it's a humbling show; a show of courage and strength, of endurance, and finally, most importantly, of hope. Mortality is cast asunder, as the waves of Murphy’s Law crash down. 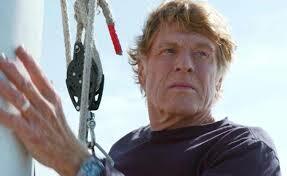 All Is Lost is another of my year’s favourites. If this trend continues 2014 will shape into a great year in cinema.